Lodge in the City offers budget accommodation with access to a large shared kitchen. It offers the convenience of a cyber cafe equipped with Skype, plus a games room and laundry facilities. 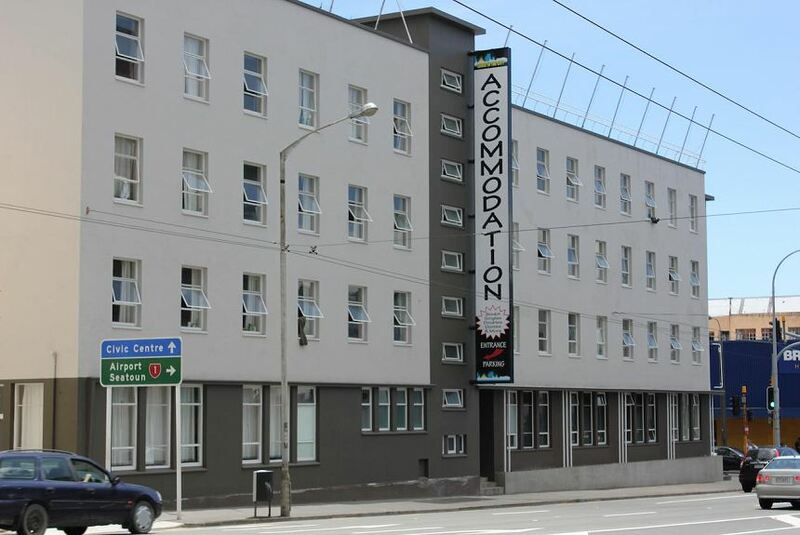 Centrally located, Lodge in the City Wellington is a 10-minute walk from Te Papa Museum and a 13-minute walk from Civic Square. It is a 15-minute drive from Wellington Airport. Parking is available on request basis only and subject to availability due to limited spaces. These simply furnished rooms are heated and offer access to shared bathroom facilities. Guests can arrange sightseeing trips at the tour desk or enjoy a game of pool. The Lodge also has a lounge and dining area with satellite TV and barbecue facilities.